Your source for top quality printed books, hardcover and softcover, made in the USA. Why print your book with BookBaby? Crisp and even ink coverage. Carefully packaged shippers delivered to your door. BookBaby offers the widest range of book trim size and binding options for every book type or genre, from glossy hardcover photography books to softcover trade fiction volumes. 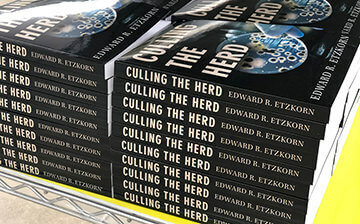 Is offset book printing for you? 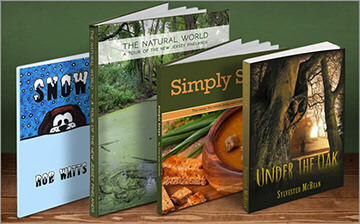 Professional book buyers trust BookBaby for high-quality bulk book printing projects on budget and schedule every time. Affordable custom book printing in all standard book trim sizes and binding types. Create your instant price quote here. Reliable and helpful customer service from book printing experts. 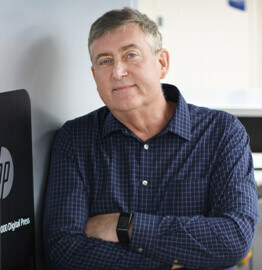 Our highly skilled prepress team ensures your book files are set up correctly—before they go to print. Printed in-house in our Philadelphia-area facility by our team of experienced printing and book bindery pros. Free shipping on most book orders shipped in the USA. Our worry-free 100% money—back satisfaction guarantee. 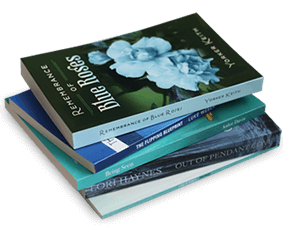 Fast turnaround times—we can print your books in as fast as 5 days. BookBaby is committed to producing top quality books in its own G7 Master Certified in-house print shop. That means every book we make in our Philadelphia-area facility meets digital printing's highest standards, be it short run book printing, Print On Demand, or offset printing. Only the best book printers in the marketplace receive this qualification, so you can trust your book is consistently created with the utmost care, from your first proof to the final print. Working with BookBaby means you have an entire team of book specialists including designers, file prep pros, and printing craftsmen focusing on creating beautiful custom books. Help is always available! Your assigned specialist will be right beside you through the entire process, from advising you on trim sizes and book binding recommendations, to troubleshooting manuscript file issues. We'll safeguard your files to catch any file mistakes before your project heads to the presses. There's a reason why we deliver the highest quality book printing services in the business. Books are only as good as the files used on our state-of-the-art presses. Our prepress technicians examine every file to make sure your books are perfect, every single time. In addition to the assistance from our prepress team, you can take a hands-on approach to prepare your manuscript file, formatting your interior pages, and finalizing your files for print. Put our quality to the test! Print a single copy of your book—any trim size, color or black & white—for $39. There's no better way for you to experience the BookBaby book printing quality difference. Start with just one.